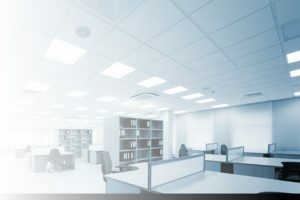 A suspended ceiling is widely regarded as a staple of modern construction which provides an aesthetically pleasing environment whilst satisfying lighting, environmental and noise reduction requirements. A suspended ceiling is cost effective, looks fantastic and adds style. It can be tailored to meet client requirements creating an insulated, noise-absorbent and colour-customised feature. 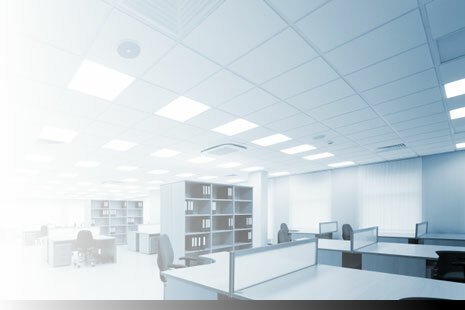 Special fire-rated mineral fibre ceiling tiles provide additional protection by slowing the spread of a fire giving added protection to both personal and building services.